In today's data-driven world, companies need database administrators and analysts; and this course is the perfect starting point if you're keen on becoming one. 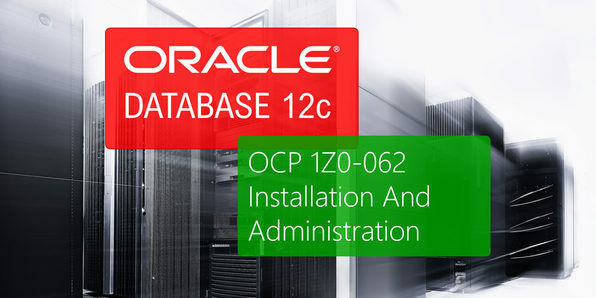 Designed to help you ace the Oracle 12c OCP 1Z0-062: Installation and Administration exam, this course walks you through Oracle database concepts and tools, internal memory structures and critical storage files. You'll explore constraints and triggers, background processes and internal memory structures and ultimately emerge with a set of valuable skills to help you stand out during the job hunt. iCollege is a leading international provider of E-Learning courses, learning technologies and development services. iCollege is a collaborative venture between XpertSkills and XpertEase Software. The synergistic result of their joint venture enables them to provide sophisticated, innovative, relevant, flexible and cost-effective learning solutions. Their collective knowledge and experience in education and training provision sets the standard for service delivery in learning solutions. This course will prepare you for the Microsoft Certification Exam 70-765, which is one of two tests you must pass to earn a Microsoft Certified Solutions Associate (MCSA): 2016 Database Administration certification. If you're looking to start a lucrative IT career installing and maintaining Microsoft SQL Server and Azure environments, this course is for you. If you're interested in working in Database Administration, Database Development, or Business Intelligence, you'd be remiss to skip this course. 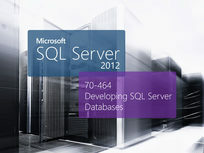 Dive in, and you'll foster the technical skills required to write basic Transact-SQL queries for Microsoft SQL Server 2012. This course is aimed towards aspiring database professionals who would like to install, maintain, and configure database systems as their primary job function. You'll get up to speed with the SQL Server 2012 product features and tools related to maintaining a database while becoming more efficient at securing and backing up databases. This course is designed for aspiring Extract Transform Load (ETL) and Data Warehouse Developers who would like to focus on hands-on work creating business intelligence solutions. It will prepare you to sit and pass the Microsoft 70-463 certification exam. This course is all about showing you how to plan and implement enterprise database infrastructure solutions using SQL Server 2012 and other Microsoft technologies. As you make your way through over 5 hours of content, you'll explore consolidation of SQL Server workloads, working with both on-site and cloud-based solutions, and disaster recovery solutions. This course is designed for aspiring business intelligence developers who would like to create BI solutions with Microsoft SQL Server 2012, including implementing multi-dimensional data models, OLAP cubs, and creating information displays used in business decision making. Some basic knowledge of data warehouse schema topology (including star and snowflake schemas). Some exposure to basic programming constructs (such as looping and branching). This course is designed for aspiring business intelligence architects who would like to focus on the overall design of a BI infrastructure, including how it relates to other data systems. This course is designed for aspiring database developers who would like to build and implement databases across an organization. Database developers create database files, create data types and tables, plan indexes, implement data integrity, and much more. All of which you'll learn how to do in this Microsoft 70-464 course. Explore the benefits of an Oracle database that is re-engineered for cloud computing in this course! The Oracle Multitenant architecture delivers next-level hardware and software efficiencies, performance and manageability benefits, and fast and efficient cloud provisioning. Jump into this course, and you'll explore the essentials for passing the Oracle 12c OCP 1Z0-061: SQL Fundamentals exam. The Microsoft SQL Server environment is one of the most preferred data management systems for companies in many different industries. Certified administrators are handsomely paid. This course will prepare you for the Microsoft Certification Exam 70-764 which validates that you are able to administer a Microsoft SQL Server 2016 server.